Open Device Labs (ODL, ODLs) are a grass roots community movement that enables developers around the globe to easily access real devices to test their work and improve the user experience across the huge variety of internet connected devices. When I began to compile what appeared to be the first global directory of ODLs on the web in July 2012, only half a year ago, we had 8 ODLs – all of them in Europe. Four months ago I had founded LabUp! together with a bunch of like-minded, to help establish Open Device Labs. And among others, I began to build lobby and raise awareness for the movement wherever possible. Today, we have 37 ODLs across 18 countries with over 500 devices accessible. Another 15 ODLs are preparing to become established hopefully soon. Attract contributors and sponsors to help and donate to ODLs. If you like the project, please help us to spread the word and raise awareness about the ODL idea and the importancy of real device testing. You can tweet or post on your favorite social network, blog about it, or simply comment and rate any Open Device Lab you have used with the respective functionality on OpenDeviceLab.com. And if you should run into @derSchepp or @helloanselm, tell them they’re the awesomness in person and invite them on a beer, for dinner, and to your house. Without Schepp and Anselm OpenDeviceLab.com would not serve the ODL movement today (you guys rule, and I cannot thank you enough for all your help!). When you’re running a device lab to test across a variety of internet connected (mobile) devices, a wireless local area network will be your primary way to hook up your gear to the ‘tubes. When you’re taking that device lab rather seriously and you’re testing across, let’s say, more than 30 devices, you will quickly run into a problem: your WiFi. Synchronized browsing, used in web development to easily preview and debug code in production across a farm of devices, implicates X devices calling the same URL at more or less the same time, sometimes several times a minute (code, preview, debug, refresh). There are a lot of variables to take into account and a lot basically “depends” as a rule of thumb around this topic ;). For illustration purpose imagine the traffic produced by 50 devices calling a webpage with 30 requests and a 0.5-1 MB pageload, refreshed continuosly – do the math. That is most likely not what the makers of that WiFi-gear had in mind when they were talking about the number of clients. How does your WiFi gear like more than 30 devices? I cannot find gear that is suitable for the above scenario and affordable for individuals or small and medium businesses, that run (non-for-profit open) device labs. The available product documentation is not comparable (enough). I know there is superexpensive gear used for permanent installations or at events, but this is not even close to the budget range of what I am looking for. I am not a wireless networks expert, and most of the people would agree this to be a black box to most of the typical web or app developers. And the experts I asked also only know the superexpensive gear (and actually don’t know talk too precisely about limitations with the above use case). There seems to be a huge gap between 30-300 Euro-ish SoHo-style devices and 6000+ Euro-ish gear. Is there an affordable solution, somewhere inbetween? I know that a ton of people is looking for a solution, so this blog post is to find out. Please help, point people that could know more than us to this post, and share knowledge via a comment. If you run a device lab and found gear that does the job, please post your experience and suggestions. If you combined a set of APs to a working solution, please post the details here (I’d prefer a single device for a number of reasons, but, anything is better than nothing). Arran Ross-Paterson had recommended specific hardware, mainly the awesome and super-affordable Unifi product range – which I have tested at several locations and events with over 70 concurrent clients, in the meantime. Good stuff. Some of us have been encouraging this with some of the earliest labs. And as Jordan Moore put it with his comment in this blog, it is truly heart-warming to see the Open Device Lab movement growing globally these days. Open Device Labs (ODLs, #ODL) are a grass roots community movement, to establish physical locations for web and app developers to go to use a shared community pool of mobile devices. Developers are starting to donate their devices to the shared pool, and word is spreading through the community locally, and globally. This enables more developers to access a broad variety of devices, to test whatever they’re working on for consumption on mobile screens – which is badly needed. To emphasize again on that: No, your iPhone is not sufficient for this test. And it doesn’t help a lot to bring your wifes Kindle Fire and your kids HTC into the game as well. To give a hint: Facebooks mobile web offerings are accessed by 7.000 (seven thousand) different mobile devices (makes/models), each day. So test on real devices. Don’t let your users do your work (this would be called “Bananaware”). And if you don’t want to shop 7.000 devices, Open Device Labs are here for you! Establishing an Open Device Lab is an awesome idea, but it takes guts. You need to find a safe location for the lab. You’ll need a Wifi capable of connecting some 30, 50 or even more devices (again, no, your Airport Extreme does not cover that (well)). You’ll need devices – a lot of them, both elder as well as brand new models, in variants, to cover all the OS fragmentation goodness. You’ll need accessories, like battery replacements, stands, or SIMs with a data plan for elder devices. You might need software as well. And you want to share best practices, and promote your lab, so people find you and help grow the lab. All that kind of stuff, in your free time, provided as a free service to the community… YOU ARE ALREADY A HERO! To ease the pain and help people around the world to establish Open Device Labs around the globe, together with my mates I just founded lab-up.org. We want to help. We’re here to help. 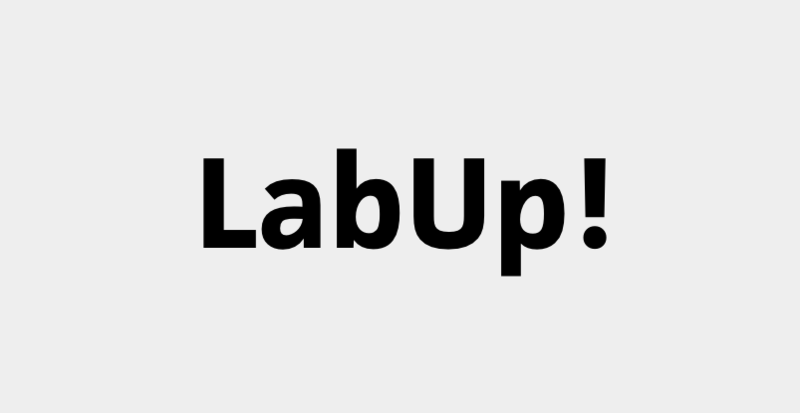 Go to lab-up.org and contact us. Follow LabUpOrg on Twitter. Sponsor ODLs around the world. Donate. Spread the word. Contribute to the program itself. Help the web and fragmented mobile experience to become a better place.